Route 66 Summerfest is where it's at! This year's version of the Route 66 Summerfest could damn well be the greatest and ginchiest outdoor music festival to grace this city and its citizens since the Sandia mountains erupted out of the earth millions of years ago. It certainly will be a rockin' affair. 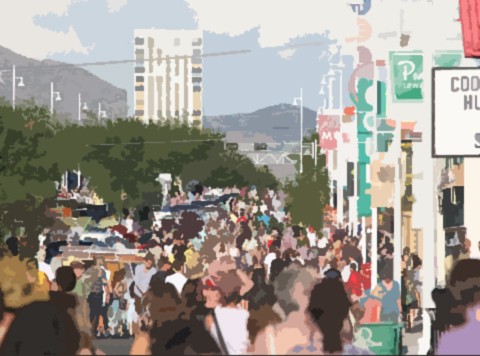 Sponsored by the City of Albuquerque, Nob Hill Main Street and the New Mexico Jazz Festival, the action gets underway in the early afternoon of Saturday July 18 and continues until late in the evening. Manifesting in the heart of the Nob Hill district, on Central Avenue between Girard and Washington, Summerfest features the finest in musical performances by outfits ranging from locally legendary to nationally noteworthy. In addition there will be a car show, a bicycle exhibit, an artisan's market, food trucks as well as a plethora of opportunities to experience summery outdoor entertainment (you know, face-painting, people-watching and stuff like that). Plus which, the Nob Hill district is known as a locus of hep shops, cool restaurants and fascinating landmarks. With three stages to choose from, the musical aspect of Summerfest is the heart of the event. All sorts of players will be playing, beginning around 2 in the afternoon. Here's a rundown of some of the participants. For a comprehensive schedule of performers, click here. On the east stage at Central and Washington, check out sets by Steve Chavez and the New Mexico Marimba Band, Todd Tijerina and Felix and Los Gatos, among others. At the Cork and Tap Stage (aptly named due to the adjacent festival beer garden) the reunited Alma, a storied local latin jazz outfit, will jam out. They'll be followed by Americana adherents The Porter Draw. The Zoltan Okestar will be there too, drawing out the dance in all of us. The main stage at Central and Girard will feature the Mystic Vic Blues Band, Santa Fe bluesman Alex Maryol and national headliners Roomful of Blues. 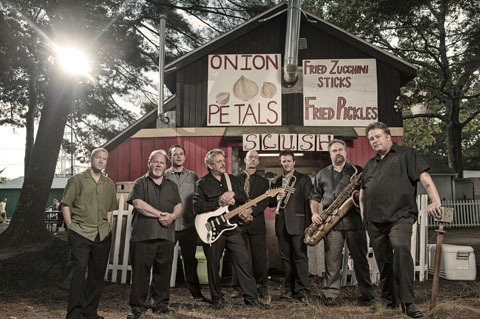 Roomful of Blues takes control of the festivities at 9:00 pm. A multi-Grammy nominated ensemble that's been extant since the summer of love, their take on an essential American genre is boundlessly badass and daringly danceable. Count Basie dug these dudes and you will too. With original tunes like "Dressed Up to Get Messed Up" and a variety of smokin' standards in their repertoire, the octet, led by guitarist Chris Vachon, will top off a day and night of summertime fun. They're practically guaranteed to put the lilt back in your step after eight hours of wandering through the sunshiny stuff our city has to offer. Speaking of the sun, make sure and take a hat and plenty of sun screen along. Also, Route 66 Summerfest is a free event. Pets are allowed as long as they are leashed. Central Avenue through Nob Hill will be closed for the duration of the festival. There will be a park and ride service available at Johnson Field on the UNM campus. You can download the entire event program here.